Hair Transplant Surgery – What Are The Risks? A hair transplant is generally a low risk procedure, but as with any other surgery, there is always a small risk that there can be some kind of complication. The likeliness of any small problems is highly dependent on many different factors, such as the exact method chosen and the skill of the doctor who will be performing the procedure. The reason why the method chosen makes a difference is because the two major hair transplant methods, the FUE (Follicular Unit Extraction) method and the Strip surgery, have clear differences, for instance, one involves the removal of a strip of skin which will add a few additional risks. A hair transplant can be done on various parts of the face and body but most commonly involves removing hair from the back and sides of the head and transferring it to areas of the scalp that are thinning. As the majority of hair transplant doctors will only use the client’s own scalp hair for transplantation the hair is not considered foreign tissue and will not be rejected by the body. 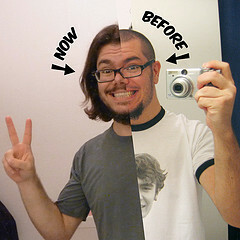 For most clients, the process of hair transplantation is slow, but the hair eventually grows in. Overall, a hair transplant is a very effective way of restoring hair to the scalp, but several factors should be considered. As with most other cosmetic procedures, a hair transplant is not for everyone. Some people will make better candidates than other. Being a fine candidate for a hair transplant procedure most likely means that the outcome will be good and that satisfaction will be met. But by being the best candidate possible, the outcome will be as good as it possibly can be. However, hair transplant surgery is complex and excellent candidacy will depend on many different factors. While a hair transplant certainly is a cosmetic procedure, not everyone who undergoes it is subject to thinning hair. 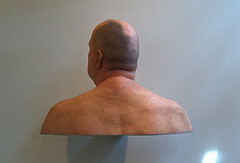 This means that a hair transplant can be had for reasons other than a balding scalp. 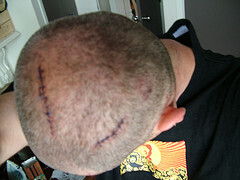 The absence of hair can sometimes be due to other conditions, such as a variety of injuries. While hair can be transplanted to nearly any area of the face and body that has been injured, the most common request is to restore hair to parts of the scalp that has been damaged, and become subject to loss of hair. When it comes to hair transplants, having an adequate amount of donor supply is critical. Donor supply refers to the amount of hair that the client has available to transplant. This hair can be transplanted to other areas of the scalp, such as the crown and frontal hair line. With a limited donor supply, the doctor can only do a limited hair transplant. It is not possible to achieve full coverage when there is not enough donor supply. Hair Transplant Alternatives: Does the Laser Comb Work? The laser comb is a low level technology hand held device aimed to combat hair loss and stimulate hair growth, and has become a popular and much talked about product in recent years. The laser comb is meant to increase blood circulation to the scalp, invigorate hair follicles and thereby produce fuller hair, and could possibly be an alternative to those who would like to wait before considering a hair transplant. Perhaps one of the most attractive selling points regarding the laser comb is that laser therapy that was previously only available in hair transplant clinics now is a treatment that one could perform in their own home. While the laser comb usually runs several hundred dollars, it would save money in the long run compared to laser treatments received in a clinic. The laser comb is not likely to grow hair in a bald spot, but can make existing hair healthier, thicker and longer. Some users support this claim and say that the laser comb indeed did not grow any new hair, but seemed to reduce the shedding of existing hair and made it fuller. There are also studies that prove that the majority of testers did see positive results. While the concept of the laser comb sounds fantastic, there is much discussion on whether it works or not, and everyone who has tried it seems to have their own specific opinion. There appears to be just as many people who believe in it, as those who do not. Other than luck, perhaps the biggest factor in determining success with the laser comb is patience. The laser comb needs to be moved over the scalp for 10 to 15 minutes three times a week for several months before any positive results can be expected. However, don’t plan to use the hair comb for hours at a day to increase your hair growth, as using it more than the recommended time will not have an impact on the results. And as with many other hair transplant alternatives, any increase in hair will most likely go away when the laser comb is no longer being used. While the laser comb is manufactured by different companies and comes under different names, the most talked about laser comb is “The HairMax Laser Comb”. However, this particular laser comb is only approved for use in men. There is currently no evidence that supports its safety and efficiency for usage on women. Whether the laser comb works or not might just depend on who you ask. To find out if the laser comb might work in your case, give it a try and see what happens, it is safe to use. However, it might be a good idea to keep expectations low, in order to avoid disappointment. For those who have tried every way to restore their hair, including the laser comb, and nothing worked, a hair transplant might be the last and final option.